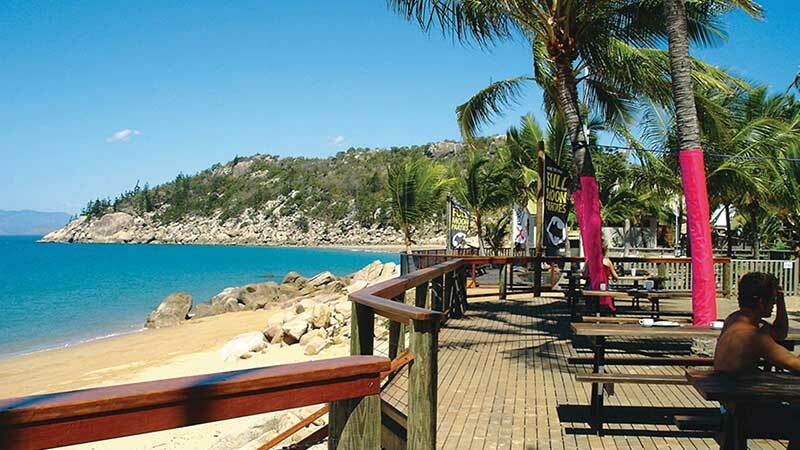 This three night Magnetic Island Package includes everything you need to ensure you have plenty of time to explore and experience Magnetic Island’s natural wonders. By spending three nights at Base Backpackers Magnetic Island, you’ll get more time to stroll along the 23 pristine beaches and go snorkelling at the array of marine life-rich fringing coral reefs. Upon arrival to the Island relax with a refreshing welcome drink and enjoy the laid back atmosphere. You might even be joined by a koala or two with the island being home to Northern Australia’s largest colony of Koalas living in the wild. During your stay you can spend your days as you choose, whether you want to relax on the beach or try something more adventurous like diving (optional cost) the options are endless. A tropical breakfast and delicious dinner (one day only) is also included in your package. Ferry transfer from Townsville to Magnetic Island is operated by Sunferries (Sealink QLD). Departures are subject to their timetable, view online at: Sea Link Ferry Timetable.